Subpoenas, Juvenile Summons, Summons & Complaints, Notice of Hearing, Notice of Trustee Sale, Order to Show Cause, Writs of Execution, Writs of Attachment, Writs of Restitution, Writs of Possession, Warrants of Distraint. Service of Writs must include the original Writ, 2 copies, defendant packet and a self addressed envelope to the defendant. Who is to be served. Where service is to be made. What documents are to be served. Service fee is $50.00 and is requested to be pre-paid (additional fees will be charged for towing, moving & storage, recording, publishing, posting, and other miscellaneous fees). Please remember, we cannot do your work for you. You must provide us with required information for service. If there is an identification problem, you must supply us with a Social Security number, or date of birth for the individual. It is your responsibility to provide all service information before submitting the papers to us. Civil procedure is different than criminal procedure. In a criminal case, the Sheriff’s Office represents the State of Idaho and performs criminal investigations. 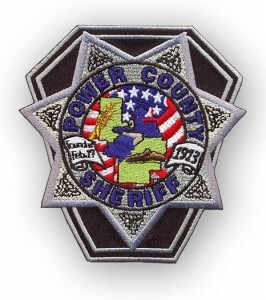 In civil cases, the Power County Sheriff is the intermediary party. The Power County Sheriff does not represent the plaintiff or the defendant in the case. You must have a court-issued civil document in order for the Sheriff’s Office to assist you.